We are so thankful for the generation of godly grandparents that attend First Baptist Church. Your part in this ministry is invaluable. Thank you for your faithfulness! Wear red, white, and blue to show your support for our great country! Come prepared to say a verse; bring your Bible, book, and a friend! 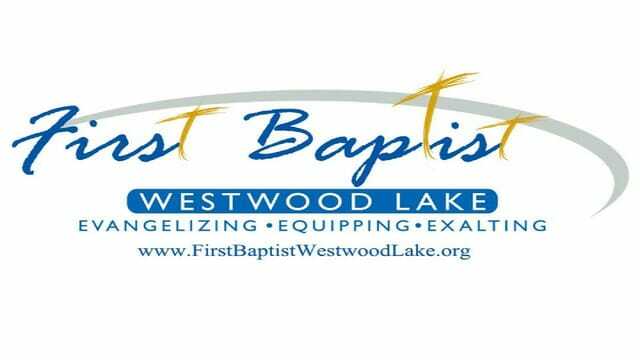 There will be a quarterly business meeting following the evening service. We want to show off the youngest of the church! All children four and under will be presented during the morning worship service. Already much planning has gone into this event. This year’s conference will be refreshing and recharging. See Nercy Radcliffe or Amy Rohrer for more details. Join us for Homecoming Sunday! This will be a special day as we celebrate God’s goodness and provisions during this past year! Plan to wear your guayabera shirts, and bring your favorite dishes: families whose last name begins with letters from A to M bring a side, and those beginning with N to Z bring a dessert. BBQ sandwiches will be served. Following lunch we will gather for an afternoon service. There will be no evening service. One of the definitions that Webster gives of “opportunity” is “a good chance for advancement or progress.” My message is titled Wasted Opportunities. We happen upon Jesus as He is teaching the people at the Mount of Olives. He talked about the Second Coming of Jesus Christ, when He will return in triumph. At the end of verse fifteen the passage says, "to each according to his ability." The master knew his servants and gave to each one of them according to their ability to handle the talent or talents he had given them. What are you doing with the responsibility you’ve been given? - A talent represents a great amount of money. It is worth approximately six thousand denarii, and one denarii was a normal day’s wage. So, one talent is twenty years’ wages. - When we say life isn't fair, what we're really saying is life isn't even. - We have to accept the fact that life is not fair: it’s not even supposed to be fair, and it’s never going to be fair. Our mission, should we be willing to accept it, is to get our eyes off of other people. God is Just and will do justly. - In our text, notice that each servant was only required to give an account for what was entrusted to him. - The man with one talent did not have to give account for the five talents received by the other servant. I don’t have to give account for the money God has entrusted to Bill Gates; I only have to give account for the money I have. - I just have to give account for the grace and abilities God has deposited in me. - There is a balancing of the books that will happen in eternity. Jesus told the story of the rich man and Lazarus. There was nothing fair about their relationship in this life. - There are times when God’s justice prevails in this life. It happened for Joseph. - If you have Christ, you have everything you need. II Peter 1:3 says, “According as his divine power hath given unto us all things that pertain unto life and godliness, through the knowledge of him that hath called us to glory and virtue." - Two of the three servants increased as a result of their investments. - There is power in viewing each day as an opportunity to serve the King. There will be no salvation in heaven, everyone will already be saved. Two of the servants understood that and made a difference. - As we read verse.14, the word “called.” The master “called his servants and entrusted his property to them.” Have you heard the Master’s call in your life? - Bobby Bowden wanted to be remembered for his legacy: "I carried out God’s plan for my life." Bobby Bowden served God’s purpose for His life. This is the greatest win one can have. - What has God entrusted to your stewardship? Everything you have is His. - One of the servants in our parable literally missed the opportunity of a lifetime. His life package was an opportunity for increase, and he let the opportunity pass him by. - The one-talent servant failed because he viewed God in a wrong way. He saw life as something hard, something to be endured. - In 1967, a vibrant, seventeen-year-old girl named Joni Eareckson dived into Chesapeake Bay and hit the bottom. The accident left her paralyzed from the neck down. How do you process an event like that in someone’s life? She didn't sign up for that. For a little while her life spiraled downward., but one day she had a wake-up call: "Wait a minute: I can't spend the rest of my life making excuses and placing blame. I can't spend the rest of my life looking at what everybody else has and can do." So she got busy and started taking care of herself, finding ways she could use her talents to serve and glorify God.